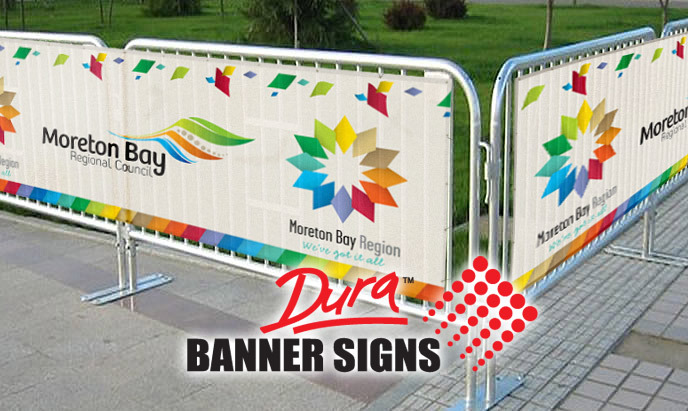 DuraSports Mesh is popular for crowd barrier fencing, scaffolding towers, speaker surrounds and start finish line crowd management for sponsors. It is all weather-able and includes options such as triple edged reinforced hems for securing over the sporting carnival or one day festival events single edge only. 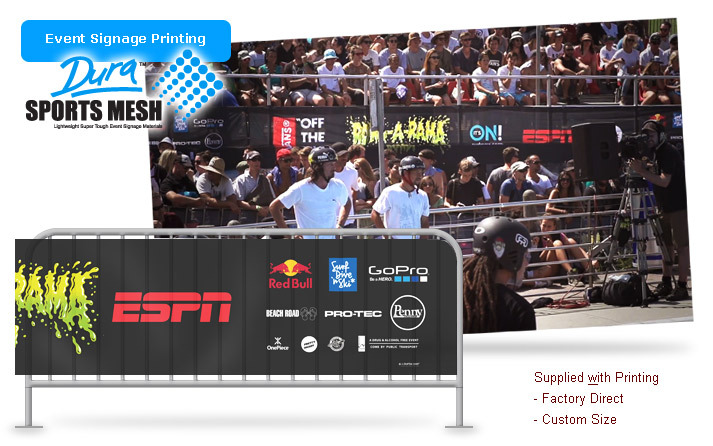 The DBSM (DuraSports Mesh) aero material is a designed to offer event promoters the cheapest method of displaying their event sponsors to all viewing public and televised media. It is a non glare material, super strong and has budget options such as knife edge only for cost savings. 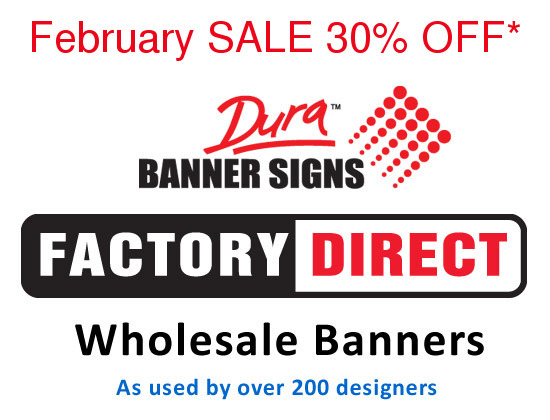 Available in any size, the event sign banner is very effective and is used by event management companies, attending trade show displays, corporate events such as golf, marquee, exhibition and more. Ideal for bleacher ends, wings, stadiums and indoor seating hanging or wall. #2 Minimum Order: No minimum order is required. 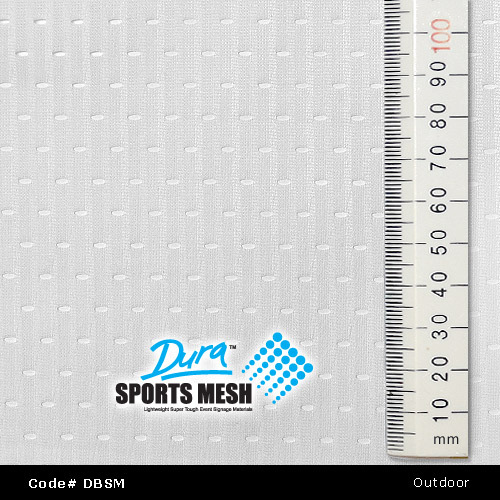 All DuraSports Mesh is available in custom sizes to suit your rental bariers, scaffolding, gantries or site applications. Made to order printing in full color. Note: Sports Mesh is commonly purchased to suit crowd container panel sizes through to full length site applications such as 2 feet, 3 feet, 8 feet, 250 yards or 3 miles etc. Order to suit your client and budget set. Sports mesh is also used by surf carnival operaters because of its suitabilty for winds and can be tied to stakes and fence wraps. Long span runs and events where budget is required can also be hot knife trim only. Sports mesh is non fray and strong tensile weave. Printed sign designs and media graphics as the visual media look very impressive for sporting bleachers, carnival, festival and public awareness.